1954: US Marshal Teddy Daniels (Leonardo DiCaprio) travels to an offshore asylum for the criminally insane to investigate the mysterious disappearance of a murderess from her cell, but he also wants to confront an imprisoned arsonist he believes was responsible for the death of his wife. Once there, Daniels comes to believe that psychologists Cawley (Ben Kingsley) and Naehring (Max von Sydow) are involved in unethical experiments. The story of criminal investigation turns in on itself as our hero suffers contradictory flashbacks and drug-induced hallucinations. 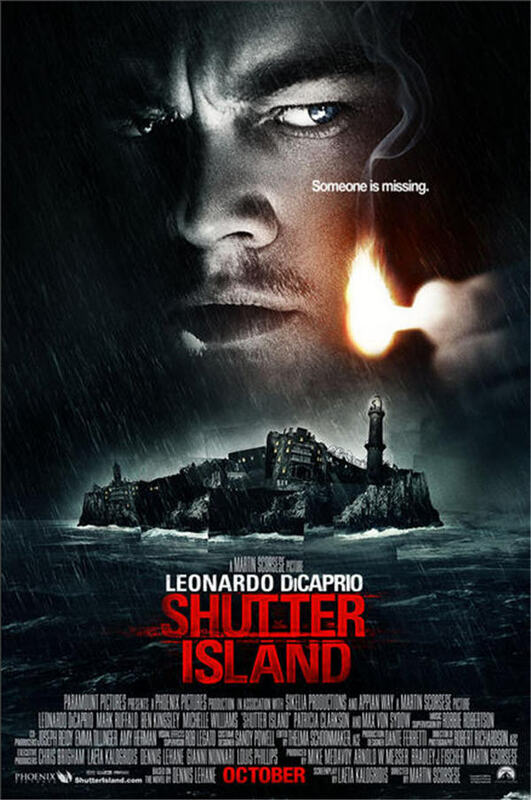 SHUTTER ISLAND is the nearest thing to a horror film Martin Scorsese (Taxi Driver, Raging Bull) has made since Cape Fear. Based on Dennis Lehane’s novel, it has one of those tricky plots that keeps pulling the rug out from under the hero and with Scorsese’s masterful direction, it’s engaging Film Noir mystery combined with gothic melodrama.